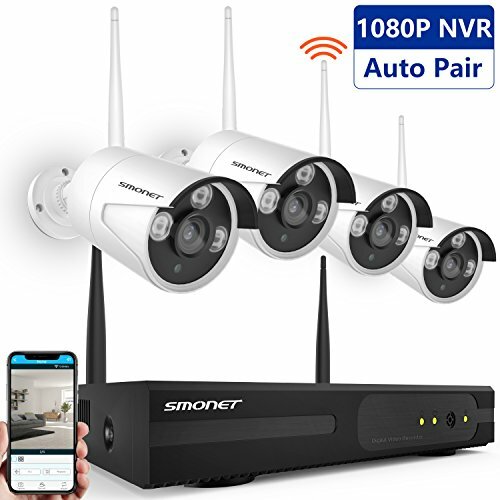 4 Channel HD Wireless Security Camera System for Villa, Home, Office, Shop, Warehouse or elsewhere(Indoor/ Outdoor). No Hard Drive, Support 1/2/3/4TB HDD(Internal,SATA Interface,3.5⁄2.5inches). Please Note that this is not Battery Powered Cameras. Wireless Camera System Doesn’t Mean You can Use it without Any Cables. Power Supply still Needed to Power on the Cameras and NVR (Smonet doesn’t Take Charge of Installation). Powered by Stable Power from nearby Outlets, 24x7 hours Live Surveillance.